As the Editor of Luxury Latin America, Timothy Scott stays on top of the trends and news for travel in the Americas. He has covered the luxury travel industry for more than 15 years, writing for various trade magazines and several upscale lifestyle magazines. He Florida and Mexico and spends much of the year traveling through North, Central, and South America. He is the principal writer for the Luxury Latin America blog. Lydia Carey is a freelance writer and translator based out of Mexico City. She has worked as an editor and writer for various publications including Delta Sky magazine, Afar.com, The New Worlder, International Living and The Latin Kitchen among others. Lydia has been blogging and writing in Mexico for over a decade and lives a double life as a local tour guide in Mexico City. She is the associate editor at Luxury Latin America and the author of Mexico City Streets: La Roma. Follow her urban adventures on Instagram and see more of her published work online. In April of 2006 SATW award-winning travel and food journalist Karen Catchpole left her job and apartment in New York City and embarked on an ongoing Trans-Americas Journey working road trip through North, Central and South America. She specializes in Latin American travel and essentially lives in hotels. Her freelance work has appeared in Travel + Leisure, National Geographic Traveler, Afar, Town & Country Travel, the WSJ Magazine, American Cowboy Magazine, National Geographic Adventure, The Dallas Morning News, The Minneapolis-St. Paul Star Tribune, BBC Travel, RoadsandKingdoms.com, Slate.com, CNN.com and other outlets. Follow along on the Trans-Americas Journey travel blog and Facebook page as her little road trip through the Americas continues. Currently living and working in Latin America, writer/photographer Ellen Barone has been curating and creating intriguing, trustworthy and engaging travel content since 1998. Journeying to more than 70 countries in pursuit of the world’s most memorable experiences, she has built a reputation, career and loyal audience as a trusted consumer travel journalist, teacher and popular speaker. Connect with Ellen online at Facebook, Twitter, and EllenBarone.com. Judith Fein specializes in deep culture by day and luxury by night. She’s contributed to 110 publications including Smithsonian, National Geographic Traveler, Luxury Magazine, Afar, Racked.com, Hemispheres, Dallas Morning News, L.A. Times, Four Seasons, ExploreDance.com, American Way. She’s given a TEDx talk about Deep Travel; blogs about Transformative Travel for PsychologyToday.com; reviews films and opera; was a featured speaker and shark in New Mexico Travel Tank; and has authored two best-selling books and wrote the libretto for the opera Hotel Eden with composer Henry Mollicone. Find her work and that of Paul Ross at www.GlobalAdventure.us. email her at: Judie[at]GlobalAdventure.us. 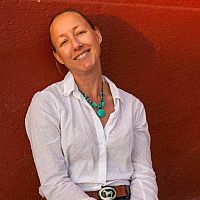 Based in Buenos Aires, Bridget Gleeson is a travel writer who's written extensively about adventure travel, food and wine, and luxury hotels for publications ranging from Lonely Planet and AOL Travel to the in-flight magazines of Delta and Continental Airlines. She lived in Italy and the Czech Republic for two years before migrating to Central and South America, where she first worked for a non-profit in Nicaragua and then took an editorial position at Time Out Buenos Aires. She also writes regularly for Tablet Hotels and has contributed to Sherman's Travel and National Geographic/Personal Explorer. See more of her work at BridgetGleeson.com. Christopher P. Baker has written for more than 150 publications worldwide, from CNN Travel to Newsweek, and his numerous books include best–selling guidebooks to California, Costa Rica, Colombia, Cuba, Jamaica, Bahamas, and elsewhere on behalf of such publishers as Avalon Travel Publishing, Frommer's, Lonely Planet, and National Geographic Society. Gabriel O'Rorke was born in Scotland but now lives in Santiago, Chile. Previously a TV producer for the BBC and reporter for ABC, she is currently a freelance multimedia journalist specializing in Latin America and contributing to a range of outlets including CNN Travel, Conde Nast Traveller, Tatler and National Geographic Traveller. Jim Johnston is a visual artist, writer and architect who lives in Mexico City. He is author of 'Mexico City: an Opinionated Guide for the Curious Traveler'. You can follow him on Facebook under the book title or 'Estudio Tonalá' for his artwork. In addition to freelance travel journalism and photography, John Lamkin writes on a regular basis for several online magazines. He is editor of Paloma Blanca Press and an online magazine, Soul of Travel. Although he travels much of the year, mostly in Latin America, he spends his time at home in a small village in northern New Mexico, near Taos or in his second home on a stunningly beautiful lake in southern Mexico. Visit John Lamkin’s website at: www.TravelWritingAndPhotography.com. James McAfee is a veteran magazine and newspaper editor who has written published articles from Morocco, Spain, Ireland, Scotland, Bermuda, Mexico, Central America, and the Caribbean. He is a member of the Golf Writers of America, a co–founder of the Texas Golf Writers, and a member of the Golf Travel Writers Association. McAfee also served as an administrator with the PGA for 17 years, where he organized pro–ams at some of the top golf resorts in the U.S., Mexico, and the Caribbean. He worked three years as director of golf at what is now Reserva Conchal in Costa Rica. A New Yorker by way of New Mexico, Zora O'Neill is a food and travel writer who has lived abroad in Cairo and Amsterdam. She is the author of several guidebooks for Rough Guides and Moon Handbooks, including The Rough Guide to the Yucatán as well as Cancun & Cozumel Directions. She maintains the blog Roving Gastronome about her travels, and what she eats while she's at it. 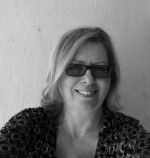 Based in Puerto Escondido (Mexico) and Toronto, Michele Peterson is an award–winning writer, travel columnist and communications consultant who specializes in luxury travel, cuisine and eco–adventure. A former investment banker who has volunteered with the Canadian Executive Service Organization in Bolivia, Honduras and Russia, her work has appeared in more than 100 publications worldwide including National Geographic Traveler, Islands, MSN, EnRoute, Buffalo News, Globe and Mail, Taste & Travel, Toronto Star, Westjet&apos;s UP! and Dreamscapes. Her mobile app Puerto Escondido Travel Essentials is available on the App store and Google Play. Connect with her at Michele Peterson or on Twitter @ATasteForTravel. 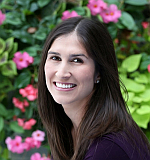 As a freelance writer for the past 10 years and active member of Society of American Travel Writers (SATW), Diana Rowe is accustomed to juggling several different tasks and publications while producing business and travel content, frequently covering her own backyard--the Denver metro area. Her other favorite destinations are Mexico, the Caribbean, and Las Vegas--and new discoveries of Panama and Chile. Over the years, Writing credits include Caribbean Escapes, Discovery Channel, TravelGolf, ESPN, and dozens of trade publications for the meetings and travel-agent industries. Born in Austin, Texas, and raised in Toronto, Canada, Michael Sommers has lived and worked in Brazil as a journalist for over a decade, with his base being the country’s original, and very beautiful, capital of Salvador, Bahia. As a writer and photographer, over the years he has contributed travel articles to various publications including The New York Times, The Globe and Mail, and The International Herald Tribune. He is the author of the guide books Moon Brazil and Moon Rio, published by Avalon Publishing. .
Cathy Brown is the former editor of Aztec Sunrise, which was at the time the largest English language publication in Mexico. She has edited and written for numerous websites about travel in Latin America and is also a mountain guide and yoga teacher with a serious and insatiable case of wanderlust. After realizing that she was not exactly cut out for the suburban life of a minivan driving soccer mom in Michigan, she moved herself and her three small kids to Patagonia and spent a year of tranquility in the mountains before the wine-country of Mendoza then Patagonian Bolson, She is an adrenaline junkie with a passion for outdoor adventure, and when not writing she spends her time mountain climbing, rafting, rock climbing, and back country skiing. More than anything, she loves working with indigenous groups in both the Andes and the Amazon to learn herbal medicine and traditional handcrafts. Cathy studied and taught photography for years and recently was the host of a documentary film about expats from the US who have chosen to live out their version of the American dream in Latin America. Joshua is a freelance writer and trip leader who has spent much of the last 10 years living, working, and traveling throughout Central America. He is an award-winning guidebook author whose titles include Moon Handbooks Belize, Moon Handbooks Nicaragua, and Living Abroad in Nicaragua. His articles have appeared in National Geographic Traveler, Yoga Journal, The Boston Globe, Outside Traveler, Transitions Abroad, and Perceptive Travel magazines. He is the creator of "The Tranquilo Traveler" weblog, a celebration of voluntourism, slow travel, and other interesting ways to see the world. Updated often, The Tranquilo Traveler is a resource for world trippers, a window to the author's travels, and an update on his books and articles. Joshua also leads study delegations and alternative break trips throughout Central America, and is a Wilderness Instructor for Outward Bound. He is currently based in Boulder, Colorado. Sandra has traveled extensively in thirty-three countries. She taught in American International Schools in Paris, Lisbon and Lima for eight years, but had a dream to combine her travel, photography and writing. After her teaching posts, she began her career as a freelance travel writer and photographer, based in Oregon. Sandra is the author of Teach and Travel. Her articles have been published in International Living, The Times newspaper, Transitions Abroad, 40Plus, Travel and Leisure UK, Oregon magazine, Offshore Wave, and others. Samantha Wei has been living in Costa Rica since 2012 and she and her Costa Rican partner run a travel blog called Mytanfeet. She is the photographer, social media manager, and writer behind Mytanfeet which documents her life in Costa Rica and their travels around the country. They have traveled extensively throughout not just Costa Rica but Nicaragua, Honduras and Panama as well. Graeme Green is a British journalist, travel writer and photographer. For 12 years, he has been traveling the planet, capturing remarkable images and reporting stories for international newspapers and magazines, including The Sunday Times, The Guardian, The Sunday Telegraph, National Geographic, Wanderlust, BBC Travel, The Times, South China Morning Post, Tatler, Conde Nast Traveller, New Internationalist and Adventure Cyclist. Traversing the world with a camera and a notepad, Graeme has spent time with traditional and sometimes vanishing cultures, including Amazonian tribes, Tuareg nomads, Bhutanese monks, Namibia's San bushmen and Venezuelan gauchos, as well as a range of contemporary cultures, including street artists, authors, dissidents, scientists, boxers, musicians and tequila masters. Along the way, he's interviewed Angelina Jolie, Arcade Fire, Ricky Gervais, Sir David Attenborough, Robert Downey Jr, David Cameron, Al Gore, Tinariwen, Richard Dawkins, James Brown and many more. He has traveled extensively in Latin America, including motorcycling across Bolivia's Salar de Uyuni, swimming alongside sharks in Belize and stargazing in Chile's Atacama desert. He particularly enjoys exploring remote regions, wild landscapes and the great outdoors. Follow him on Instagram and Twitter. Over the course of a 30-year career that has spanned 80 countries, award-winning journalist Buzzy Gordon has been a reporter, editor, and travel writer on five continents. He has lived in Mexico and Guatemala and visited every country in Central and South America (except the three Guianas). His work has appeared in USA Today (where he was a travel columnist), National Geographic Traveler, The Los Angeles Times, Hispanic Magazine, and Americas Magazine, among others. Buzzy is also the author of Frommer's Jerusalem Day by Day Guide. Writer and photographer Nicholas Gill was born in Columbus, Ohio and splits his time between Lima, Peru and Brooklyn, New York. 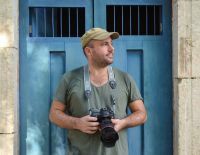 He travels across Latin America on a regular basis and his work appears in publications such as The New York Times, National Geographic Traveler, CondeNast Traveler, Caribbean Travel & Life, and World Hum. He has also authored numerous travel guides on Latin American countries for Frommer's and many other publishers. In 2009, he launched an ezine on Latin American food, drink, and travel, New World Review. In late 2010, he will be permanently relocating to Cusco, Peru. Visit his personal website www.nicholas-gill.com for more information. At the age of three, Al Argueta first traveled to Guatemala with his father and would later live in Guatemala for two years, allowing him to formally learn Spanish and to experience Guatemala's culture firsthand. During summers in high school and college, Al would take a month off and travel to Guatemala to explore its jungles, Mayan ruins, and villages. In college, Al majored in Journalism and Latin American Studies. After college, he interned with Costa Rica's Tico Times, getting his first exposure to travel writing and photography, He is the author of Moon Guatemala and Moon Living Abroad in Guatemala, and Moon Mexico's Copper Canyon. In addition to writing, he does freelance travel photography for clients that have included National Geographic Adventure, US Airways, Caribbean Travel & Life, Condé Nast Traveler, Outside's GO, and Continental. Guatemala is still his favorite place to photograph. His website is www.alargueta.com. 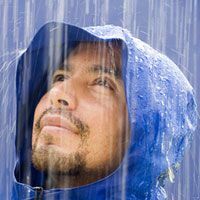 Jimmy Langman is an American freelance journalist based in Puerto Varas, Chile. He is a co-author of Fodor's travel guidebooks on Chile and Patagonia, and over the past ten years has also written frequently about other destinations in South America such as Bolivia, Brazil, Ecuador, Argentina and Peru. His diverse articles have appeared in several publications including Newsweek, Outside, Miami Herald, San Francisco Chronicle, Toronto Globe and Mail, Decanter, and the Guardian. He is also executive editor of Patagon Journal, a quarterly magazine about travel, nature, culture and outdoors sports in Chilean and Argentine Patagonia. Giannina Smith Bedford is an Atlanta-based travel and business writer whose work has appeared in Cond? Nast Traveler, Delta SKY Magazine, AirTran Airways GO Magazine and Atlanta Business Chronicle. Her work can be viewed at www.gianninasmith.com. For the past six years she has been contracted by Cond? Nast Traveler to work on the magazine's Gold List issue, reviewing the top hotels in the world. Throughout her career she has also interviewed various celebrity personalities, including Venus Williams, Anderson Cooper, Sanjay Gupta as well as civil rights leader Rev. Dr. Joseph E. Lowery. Along with her experience as a writer, Giannina is a world traveler. Having lived in Brazil, Chile, Hawaii and Australia before the age of 13, she continues her worldwide adventures and has extensive travel experience in Europe and South America. Fluent in Spanish, written and spoken, Giannina received her bachelor's degree in magazine journalism from the University of Florida, with a concentration in travel and tourism. Charyn Pfeuffer fell fast and hard for Latin America while traveling through Honduras, despite a weather situation that left her stranded on the Chachauate Key with the Garifuna people. Since that incident, Chilean cheekbones, Peruvian cuisine, duty free at Jorge Newberry Airport, and some kind-hearted Incans have kept her coming back. The Seattleite spends about 1/3 of her time in South America and fantasizes about making it a permanent scenario. She has contributed to more than 80 publications, including National Geographic Traveler, Seattle Times, Fodor's, DailyCandy.com, Portfolio.com, Destination Weddings & Honeymoons, and the San Francisco Chronicle. Pfeuffer would consider taming her wanderlust ways if she could settle down in the desert of San Pedro de Atacama, Chile, but first needs to perfect her Spanish. Thankfully, Rosetta Stone is helping brilliantly with those efforts.